Severe penalties will be imposed on employers who fail to comply with the New Minimum Wage Rate that is now in place. Employment Minister Jioji Konrote says consultations have been done nationwide and if there are employers who do not comply they are liable to face severe penalties. ‘’An employer who fails to comply may be liable to conviction or a fine not exceeding $20,000 or a term of imprisonment for not exceeding two years or both, that is just roughly the bottom line is in terms of complying and if people failed to complying and if the people failed to comply the courts will impose those fines’’. 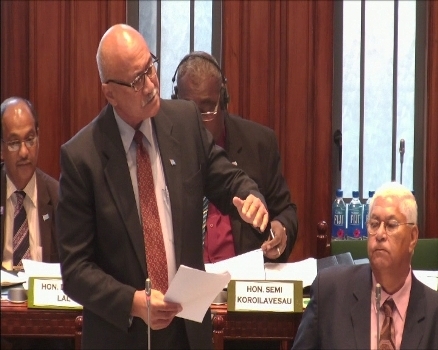 Konrote was replying to a question from fellow Parliament Member Balmindar Singh about how the Ministry intends to implement the new minimum wage rate. The increase in minimum wage rate is from $2.00 to $2.32 per hour and this will mean that 100, 000 marginalized workers will have their weekly wages increased from the $90.00 – $96.00 range to the $104.40 – $111.36 range. The new wage rate covers workers in the informal sector as well as workers in the formal sector who are not covered under the current 10 wages regulations.